When planning for retirement, it’s important to realize where you want to be, in order to know what you need to do to get there. I am attaching the BMC Commissioner’s Circular listing out conditions for granting permissions to erect Pandals etc. for Ganesh Utsav, Dahi Handi etc. celebrations on our roads, footpaths and other open spaces. If you feel they are unreasonable and would cause noise and inconvenience to residents, pedestrians and motorists, then do send your objections to the Mun. Comm. as soon as possible. New forms, additional information, completely paperless filing…. the Finance Ministry has introduced several changes in the way taxpayers will file their returns this year. As a taxpayer you need to be aware of these changes lest you file an incorrect return that gets rejected or results in a scrutiny notice. Many taxpayers tend to believe that if they have no tax liability or have already paid all taxes, they need not file their returns. 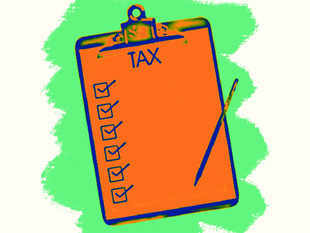 “It does not really matter whether you have paid any taxes or not. Even if all your taxes are paid through TDS by the employer and bank or you have paid an advance tax, you still need to file returns if your annual income exceeds Rs 2.5 lakh,” says Archit Gupta, Founder and CEO, ClearTax.in. But before we get there, let’s look at the major changes in this year’s tax filing rules. 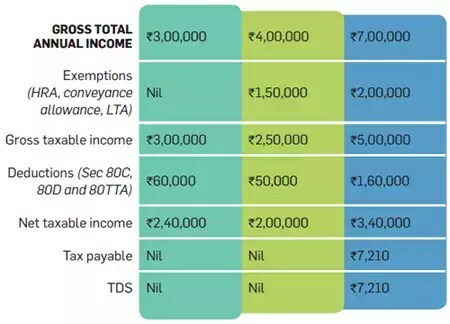 If the gross taxable income after exemptions, but before deductions, exceeds the basic exemption of Rs 2.5 lakh, you need to file your tax return. The home department on Friday promulgated the Maharashtra Right to Public Services Ordinance 2015, making it mandatory for time-bound delivery of permissions and information.The ordinance covers 17 services. Soon, another is expected to include many more.For example, copies of FIRs must be given immediately after a complaint is lodged, attestation of documents must be done within seven working days, an NOC for passport verification must be issued within 21 working days, which is also the limit for NOCs for petrol pumps, gas agencies, hotels and bars, and police clearance certificate for foreign nationals should not take more than 30 days to be issued. “As per the ordinance, a specific time limit has been prescribed for 17 services. If the designated officer fails to grant permission or provide information within the time limit, the competent authority has powers to impose a penalty, ranging between Rs 500 and Rs 5,000 on the erring officer,“ said a bureaucrat. Devendra Fadnavis, a month after taking charge as CM, said he was keen to bring in legislation to provide public services on time. A draft of the ordinance was circulated in February for public opinion, following which the Maharashtra Guarantee of Public Services Bill was introduced in both houses of the state legislature in April. Since it could not be passed, the ordinance was promulgated. “Fadnavis had proposed to cover 160 services. The home department promulgated the ordinance to cover 17 services.Other departments will cover more,“ the bureaucrat said. Confessions of an economic hitman – watch the truth behind the scenes – BE SCARED – VERY SCARED ! E-commerce companies, sustained on massive doses of funding provided by private equity funds, have been such a boon to consumers that we were happy to condone glitches, especially if the redress or reversal process was smooth and efficient. But large and well-funded e-commerce companies are probably so focused on fund raising and increasing valuation that they may be in danger of forgetting that the customer is central to their mega plans. Some funded e-tailers seem to believe that throwing money at consumers to compensate for bad experiences is an adequate customer retention strategy. As the business grows, companies are finding it difficult to offer cash compensation and to dish out freebies; some brazenly renege on promises published on their promotional material. 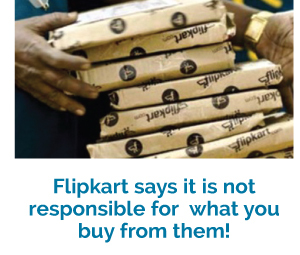 In one particular case, a consumer complained that Flipkart was claiming to offer a discount by projecting a false high price that was crossed out, while the discounted price was the actual MRP printed on the product. All online retailers and service-providers have notoriously one-sided contracts which nobody reads. None of this mattered while they wowed customers with choice, price and speed of delivery. But rapid growth and gigantic size is bound to have an impact. Aggrieved consumers will be shocked at the one-sided terms in their legal disclaimers. Flipkart and Snapdeal, who call themselves marketplaces, are especially aggressive about not accepting responsibility for prices and product details posted on their websites.